Just the other day I was thinking about the great footage and images I have that might do well in a stock library. I just didn't know where to go and which site was best. so I closed the folder and let it go. But, here at Fstoppers we get the best news first. Perfect timing for sure. 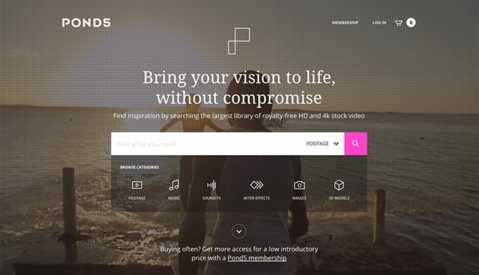 We got a heads-up from Dissolve that they are launching a rights-managed stock library with 50,000 images on June 1st. They also want to open it up to individual photographers to contribute and form part of their premium stock offering. Their aim is to be an alternative distribution channel to Getty Images, and this comes at a perfect time. Visual China Group acquired Corbis earlier this year, and left the high-end photographers with no where to go. They'll focus on rights-managed photographers. The other major stock providers, such as Shutterstock and Adobe, do not offer rights-managed images or footage. And, by browsing through the site, I found images and video could be licensed for $49 up to $200 per clip or image. 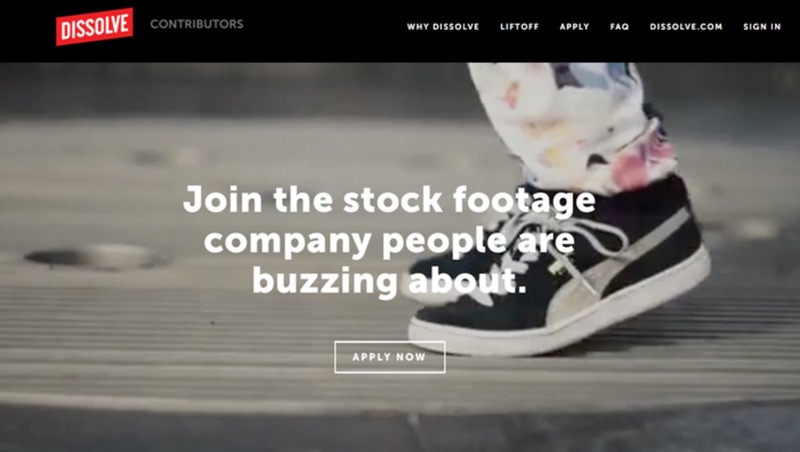 They refrain from footage and images that can fall into the "recognizably stock.” All images are cleared for commercial use an upon request, "Dissolve’s researchers can also provide license history of the images, by industry, medium, and geography for further competitive piece of mind." If a client plans on using images for presentation media or regional use the costs per video or image are considerably lower too. An added benefit for clients, is that there’s a free clip and image of the month, which has been a very successful strategic approach Apple uses in their App store. This works wonders for letting buyers come back on a monthly basis. They will also continually add curated selections of rights-managed images that adhere to its high standards after the launch on the 1st of June. 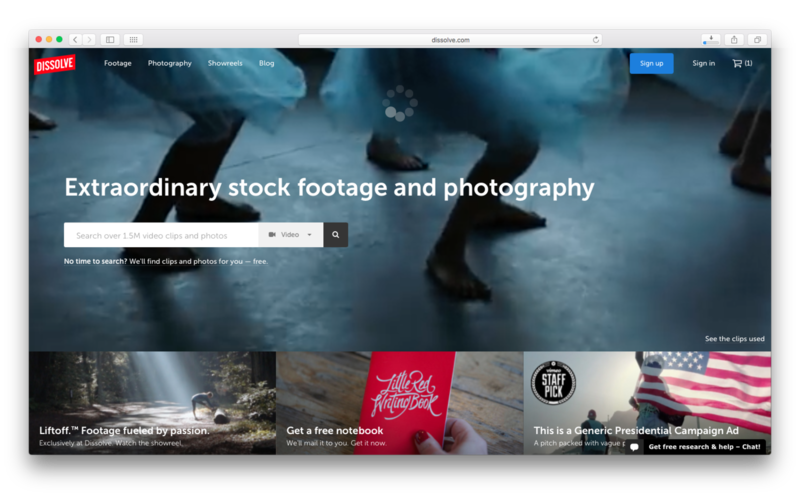 This is exciting stuff, and the site looks ready and browsing-friendly for clients looking for their perfect clip or image. You can read the full press release here. I may be wrong and I often am. But how many of these services do we really need? How far diluted is the market for this type of thing now? I feel like every month a new company sprouts up that markets the dream of selling images as stock to photographers. Dissolve has been around for years now, but just getting started in the stock photo market. My exact same thoughts. But I don't know for sure if it is a bad thing. Some photographers are already a big thing in some other stock websites so maybe a new one can be an opportunity for other photographers. 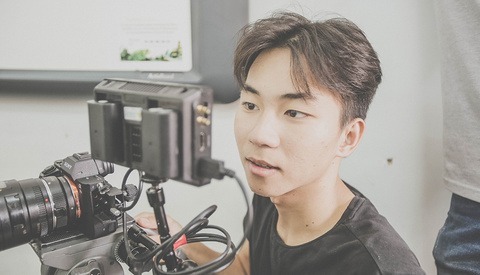 I'm currently looking for the best option to sell my footage and pictures, i'll definitely check this one out. Also the more competition there is the lower the comissions will get right? More money for the users. A few errors in this report. Shutterstock and Adobe Stock/Fotolia accept both stills and footage. As Mike implied this space is saturated with companies all trying to win small percentage market share. Where has the author been for the last decade... "Just the other day I was thinking about the great footage and images I have that might do well in a stock library." Difficult to believe this cheap intro. Hi Frank, just to be clear: Adobe, Fotolia and Shutterstock do provide stock video and images. But they are not rights-managed - please see 'rights-managed' in the sentence you are referring to. Also, I thought it be good to let you know about this from my own point of view. Photographers each have their own route, and I for one haven't really been doing a lot in the stock photography market and it's only something I am thinking about now. I don't like being classified as a writer of 'cheap' intros, but I'll take it as a lesson learnt. "left the high-end photographers with no where to go"
I understand that this is coming from your point of view as you mentioned...however I feel its important to point out its just not true. As a photo editor at a publishing house.. there are hundreds of stock websites..and corbis was by far not the most premium or high end. Very good..but not high-end by what I think you mean. The corbis / VSG / Getty deal essentially didn't open up much space for any other stock agencies...I think it closed things up for the big players if anything. Getty essentially acquired all of corbis imagery without having to pay, and VSG now distribute all their work. It didnt disappear from the market. There is infact also a plethora of agencies that already deal in rights managed licences...most infact. Those who do not are in the minority. After looking further into their press release and the company itself...I think it should also be important to point out your article is slightly misleading. Im not sure if its deliberate or unintentional..but it seems like you are advising photographers here to head to dissolve to contribute if they want to licence their work rights managed. However the press release is infact talking about how they have acquired the rights to sublicensee work from already existing curated stock libraries. Not that they are not open for anyone to contribute their work to them. Which also means..as a photo editor, I already had access to all their images via the original sources...or infact Getty / other agencies that were already licensing the exact same collections of work. Im not against stock...I advise anyone to get into it. It should be something every photographer contributes to if its something that can be done without spending too much of their time...make it part of your workflow so that it build naturally. It will no longer be a sole income for photographers just getting into it but its always worth having work out there..it beats it just sitting in your archive gathering digital dust. But research is needed to know where best to contribute your work for it to be most successful. Hi MP, while we are launching with some larger collections, we are also very interested in hearing from individual photographers. You can see that addressed in the second-last paragraph of our press release. Thanks for your comments.